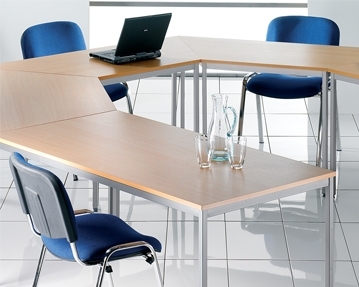 We offer conference tables in a wide range of shapes and styles. 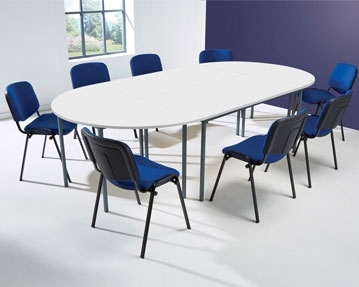 Whether you’re looking for permanent or temporary tables, our selection should have something to suit you. 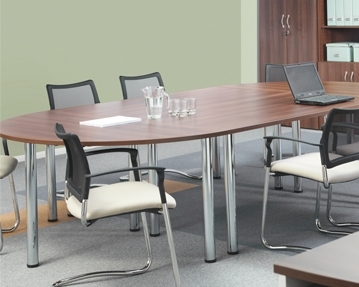 Take your pick from an impressive variety of sizes and finishes to ensure you benefit from office conference tables that tick all of your boxes. 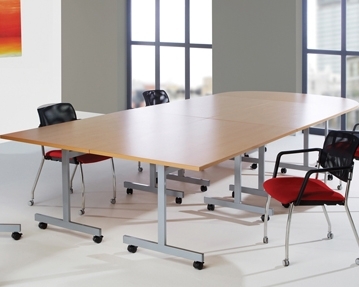 If you’re after something functional and versatile, our Durand tables may be ideal. 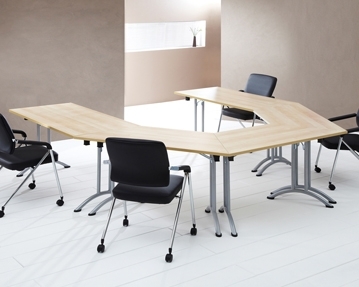 Thanks to their modular design, you can group them together to create a setup that suits your space and working style. 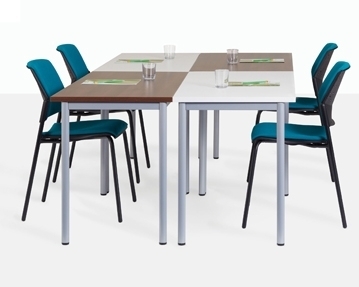 These products feature folding frames, meaning you can pack them away whenever they’re not in use. 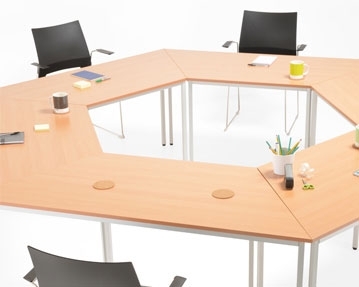 Our Spear, Carousel, Flexi stacking and Alliance tables are also ideal if you’re after temporary conference tables that you can store away with ease. 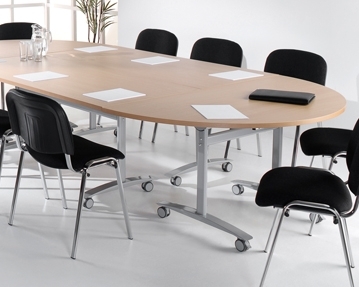 For permanent solutions, check out our Pallas range. Featuring 25mm thick worktops finished with protective plastic edging, they are available in a range of stunning wood finishes, including natural oak and walnut. 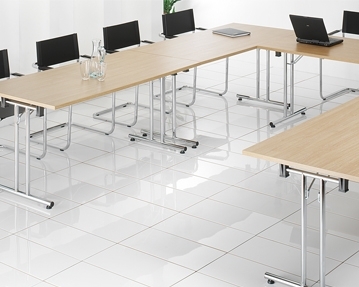 In addition, our Everyday range complete with non-slip feet offers a practical and stylish solution that could be ideal for your workspace. 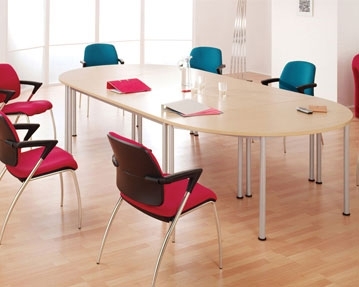 Whichever meeting room tables you choose, you’ll benefit from impressive quality and value for money when you shop with us.